Home » Just another day in Japan » Beware Of Ghost Owls! I saw this sign, and was quite nervous that Arisugawa Park was suffering from a dangerous infestation of owl ghouls, just waiting to swoop down on unsuspecting walkers’ heads waving their ghostly yuurei hands. 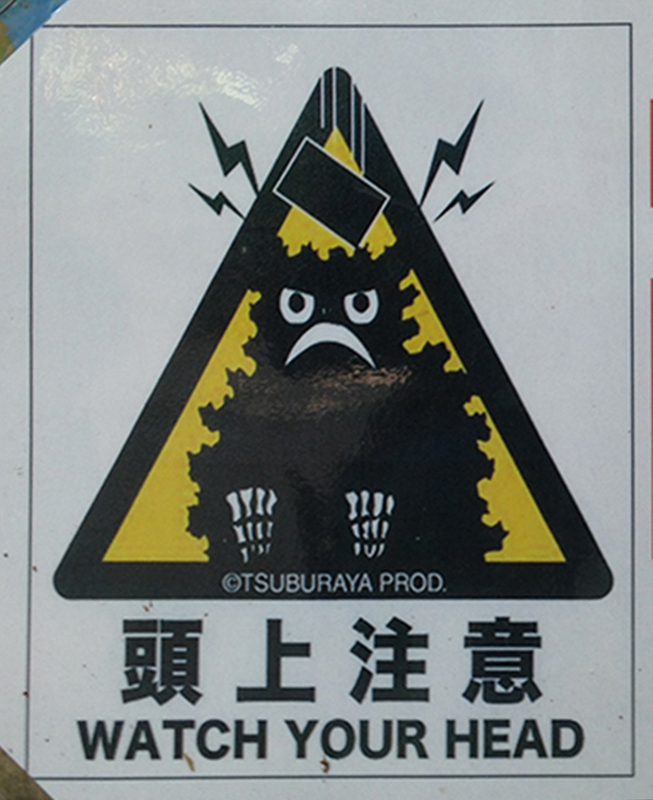 While this might be preferable to Inokashira Park’s haunted toilet, I was relieved to discover that this rather cryptic graphic actually warns of falling branches. Yuureis of yore. Bed head and limp wrists are a sure sign you’re being haunted. 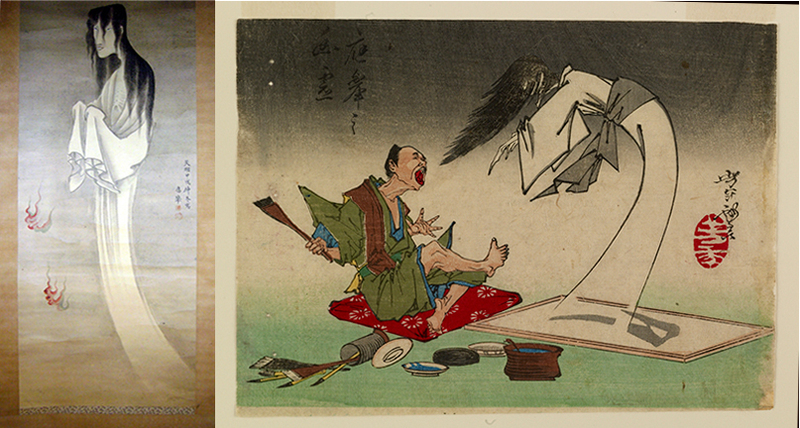 The painting on the left is by Maruyama Oukyo and the woodblock print on the right is by Yoshitoshi.